On June 9, 1976, Brandon Conron of the Department of English at the University of Western Ontario introduced Alice Munro for an honorary doctor of letters: “Here, Mr Chancellor, is an Alice who, from everyday experience, has created her own Wonderland, making of it a looking glass through which we begin to identify vital aspects of our world and of ourselves.” The degree, which she accepted because she had never received an undergraduate degree, is her sole honorary degree. “What good is an honorary degree?” she wonders aloud to anyone who raises the subject. She does not seek out the recognition or the awards. In her own way, her primary commitment is to art itself. 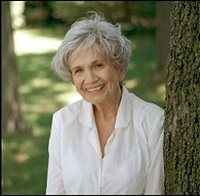 Alice Munro is a remarkable writer, always paying allegiance, first of all, to the beauty and the power of the written word. From her earliest writings of her high school years down to her last volume, Dear Life (2012), she has always been true to the written word. When asked why she has such deep trust in it, she explains that the experience of literature is a bond between the reader and the printed text; there should be no one, not even the author, interfering with this bond. For this reason, she rarely gives readings, the reading itself interfering with the direct relationship of reader and story. This is precisely what Munro has done and continues to do in her writing: the act of recognition rather than the act of explanation. She seeks to approach the “mysterious and difficult” and recognize the complexity of the human condition. To offer explanations is beyond the realm of her art; “in fact our explanations take us further away.” And what she shows in her fiction is the irresolvability and yet the sustainability of life itself.